In 1960’s, based on their research Wells and Gruber came up with a new concept of segmentation, called the family life cycle. Family life cycle can be a part of the segmentation targeting and positioning triangle or even the consumer buying behavior study as it concerns itself with the various phases and generations of people present within an individual family and how to target them with your marketing efforts. Thus, in a joint family, there might be youngsters, parents, grand parents, uncles and aunts, all in different phases of their life. By taking each of them as a target market or a target demography, what can be the marketing strategies that you can adopt, can be answered by Family life cycle. 4) The last category in the family life cycle is the solitary survivor. The concept has grown in popularity in the last few decades because of being applied in different kind of industries with successful results. 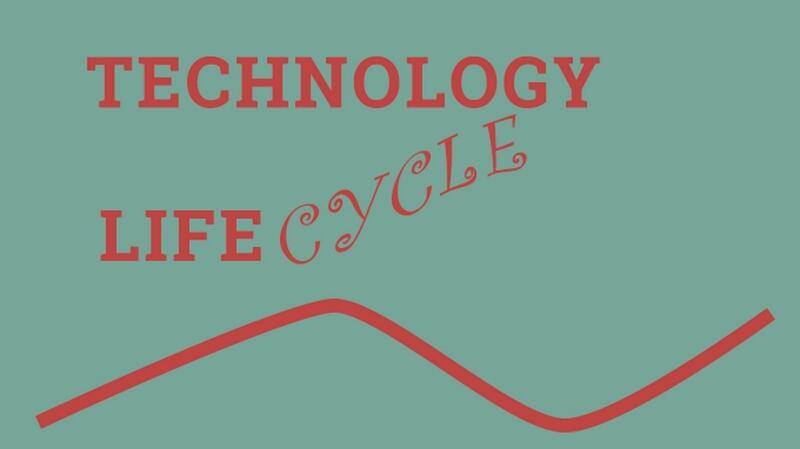 Until now you might have heard about product life cycle or customer life cycle. However, the family life cycle is focusing on shopping styles, information use and decision making differences by a person in the different stages of his life. As we grow older, we are moving steadily from one stage to another, moving from an initial buying behavior focusing only on ourselves to a more mature and responsible one, by taking into consideration not only our needs but also the needs of our families. By understanding in which stage a person is in the family life cycle, marketers can anticipate their needs, and determine the products and services they can provide him. RELATED TOPIC What is the difference between packaging and labelling of a product? 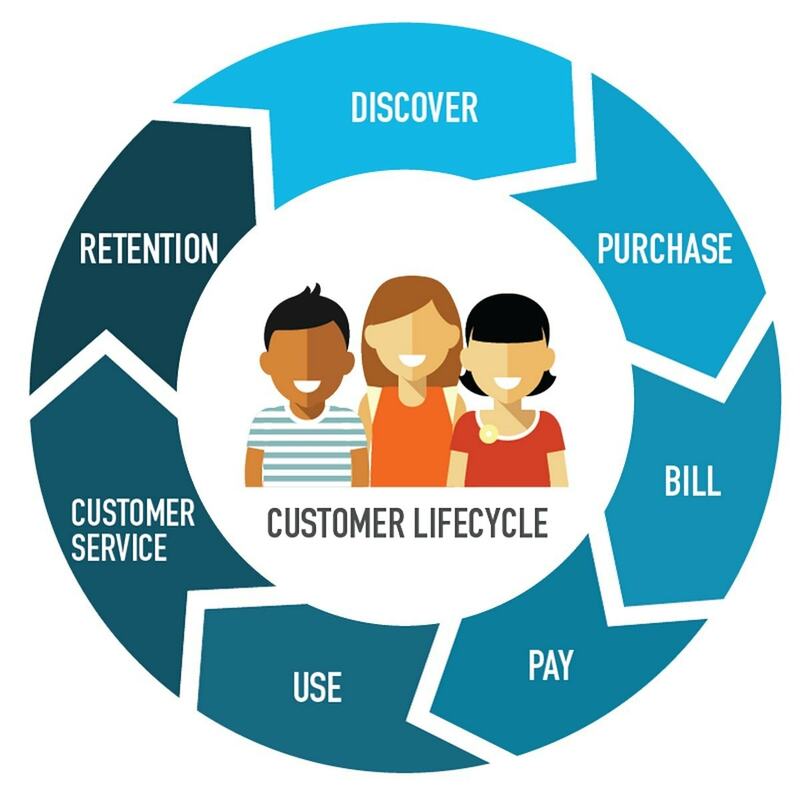 Basically, the family life cycle model describes the stages through which consumers pass through their lives when they have families. There are different versions of the categorization of the stages but the most common are: bachelor stage, new married couple, fully nest 1, fully nest 2, empty nest, solitary survivor. During the bachelor stage people are usually characterized by being interested mainly in appearances. Therefore, people at this stage tend to invest more in fashionable clothing and vehicles. Impulsive buying as well as premium buying is a common characteristic of the Bachelor stage. 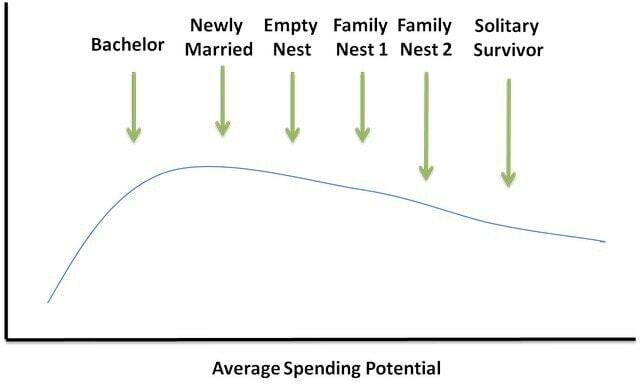 In the family life cycle, the new married couples are considered to be in a better financial position in the initial stage due to the absence of children. It might be possible that both, the husband and wife, are earning members. Thus, the buying decisions focus on quality and not quantity. A family person will always think about savings and insurances, and at the same time, they will invest in long term products like good furniture, new home, etc. Once married, they are less prone to impulsive decisions. This segment of the family life cycle consists of families already having children. The number of children may vary and hence they are categorised in Nest 1, Nest 2 etc. The purchases of these people are dominated by the children’s needs mostly. Thus, people having 2 kids are likely to save money and spend more in the future of their children (this is most targeted by insurance companies and products like Boost and Complan). In the empty nest category, children are going away from home. This type of segment may be targeted for investing in their children who are away from home or to start spending money for their own vacations and hobbies and also focusing on savings for the retirement period. This can consist of either a widow/widower who are still working or who are retired. Their main focus is on savings and their purchases are dominated by accommodation and medication mostly. What all these stages have in common are the criteria based on which they are formed involving age, marital status, career, disposable income and either presence or absence of children. Thus, based on all four type of segments, the typical demography can be made and targeting can be carried out accordingly. Considered to be a useful method for segmenting the market, the model provides an understanding in customer behavior by looking into various stages of the family life resulting in different buying patterns. It takes into account changes in family structures and behavior accompanying progression from birth to death. As companies go through different stages such as early entrance, growth, maturity and decline, consumers spending habits are also passing through different stages according to its development depending on the consumer’s ability and willingness to consume various items and undertake the financial burdens involved with their preferences. Thus, a youngster may be more likely to purchase a product during its entry stage than a person in family nest 2. 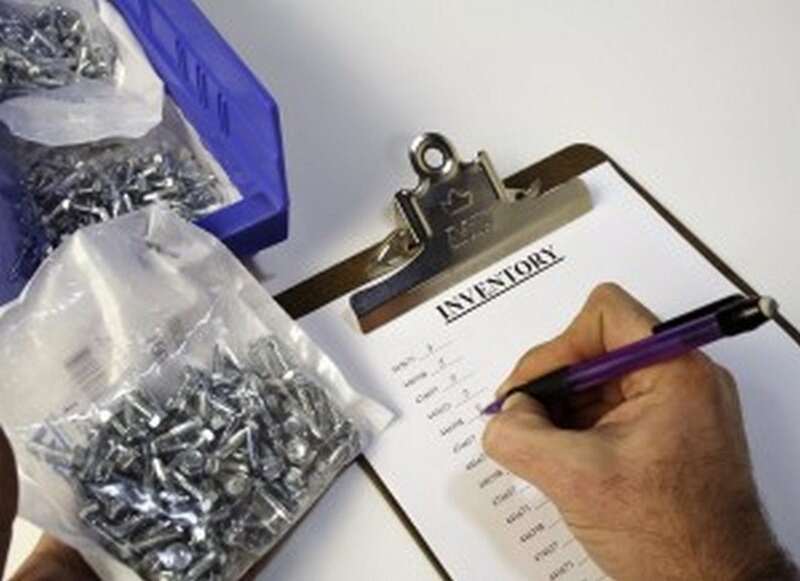 It provides a technique of anticipating the market growth through market estimation, by forecasting the number of persons entering into each stage of a cycle in one year. It provides an overview of the variables which affect the entry of a family into the different stages of life. Focusing on the demographic patterns and social trends of people, the family life cycle concept describes the effect of time on a family through the different stages of life focusing on their patterns of consumption and spending based on their income. The product life cycle deals mainly with the process that the product goes through in its life. Both, Product life cycle and Family life cycle are parts of Marketing strategy. However, Family life cycle concerns itself more with Segmentation, targeting and positioning whereas the Product life cycle is more connected with the Planning and tactical thinking for the product. 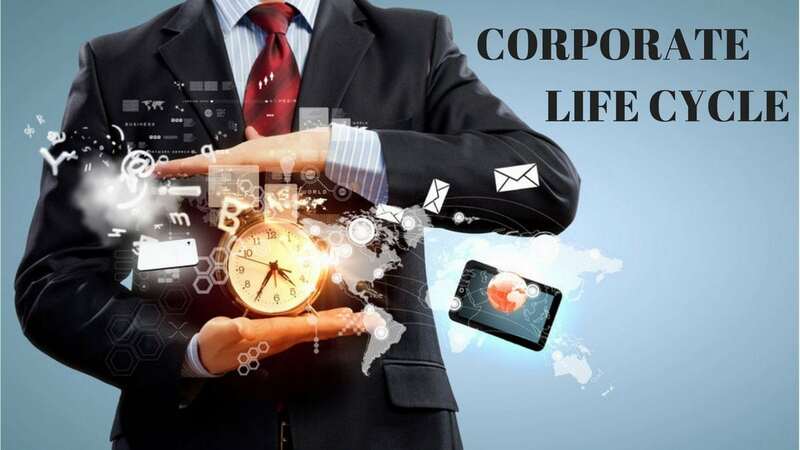 Thus, though the core concept of Product and family life cycle is to study different phases of a product or a family, the end analysis and its result are completely different. 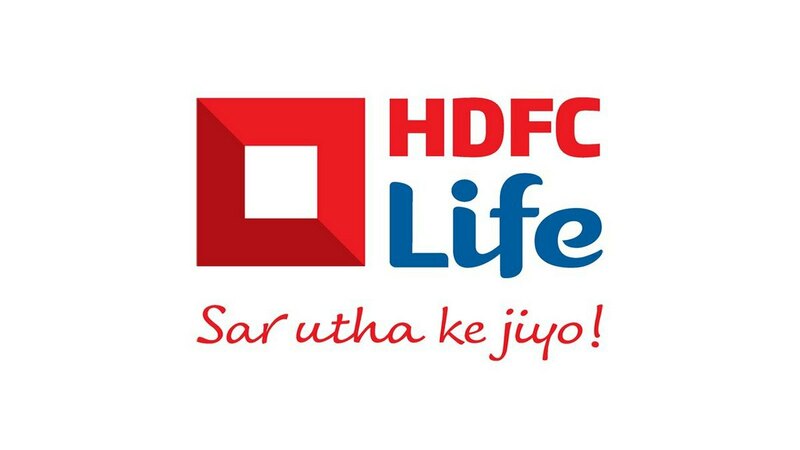 Hello Mr Hitesh just have one doubt, Is brand life cycle and product life cycle same? Yes. They have the same curve. But the revival of a brand is far likely then a product. Like once the brand is in maturity stage, it keeps on introducing more and more products, thereby it avoids decline stage altogether. In fact, a brand can start a different product line altogether, and again come back to a growing brand stage. Facebook launching virtual reality has assured that while Facebook is a mature brand in social networks, Occulus rift maintains it as a growing brand where virtual reality or gaming is concerned. 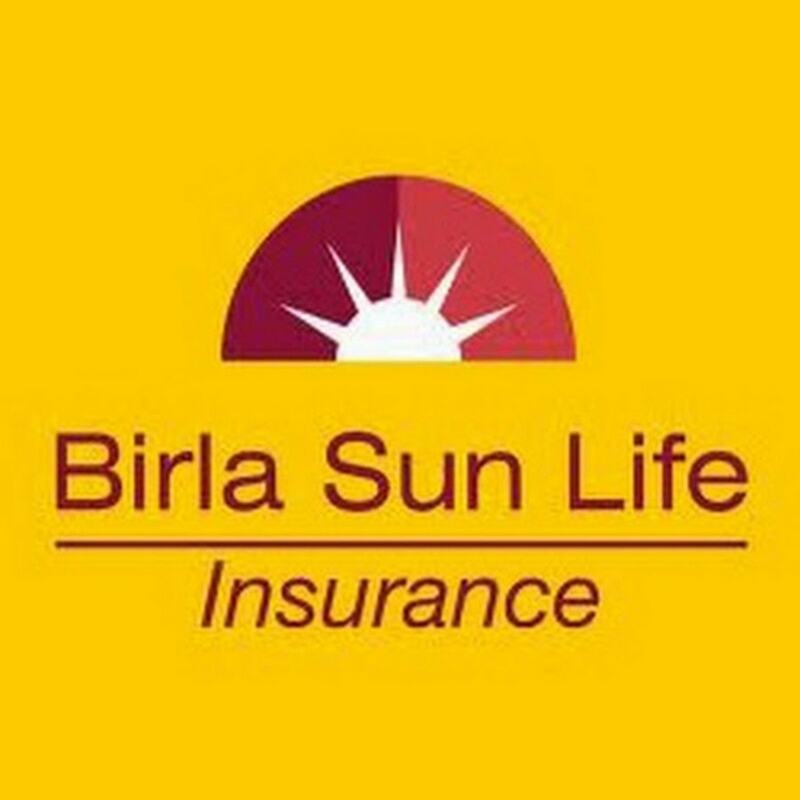 So a brand has many strategies up its leave as compared to a product which gets outdated with technology. Thus, the brand life cycle is longer in duration then the product life cycle. though ultimately it has the same pattern. Its a god notes,it helps me. What are the limitations of using traditional family life cycle as a market segmentation? I just love this blog ? ?